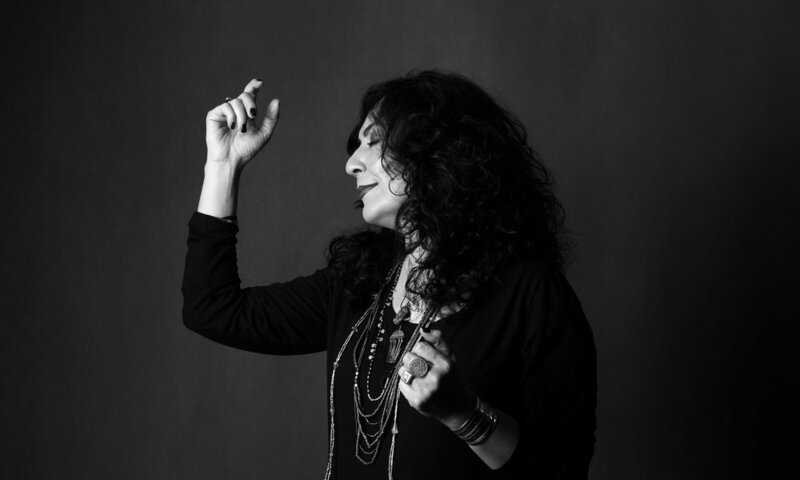 Mahsa Vahdat is a prominent performer of Persian vocal music, and a strong advocate for personal and artistic freedom of expression. Composing most of her own songs, she always seeks new ways to make her music relevant in today's world, and although the origin of her style is Iranian, she believes in music’s ability to speak the universal language of humanity. Without being visible in her own society due to restrictions of female vocal performance implemented after the Islamic Revolution of 1979, she and her sister Marjan have regular contact with a global audience of admirers and supporters. 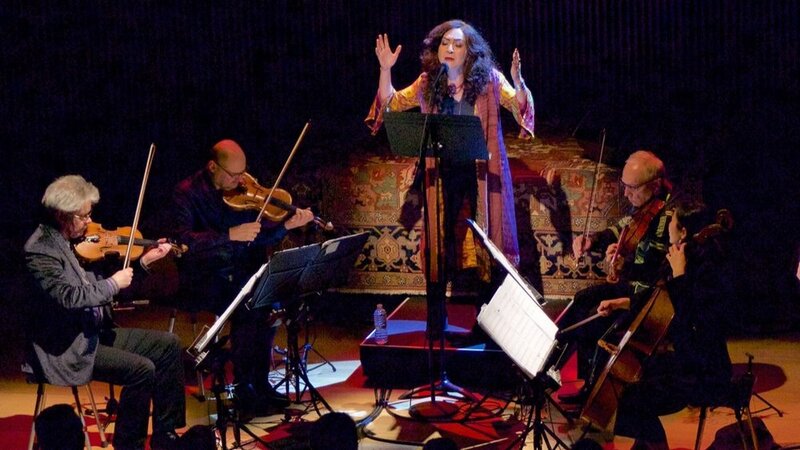 Mahsa also teaches Persian vocal arts around the world. Many people are still not aware of how challenging it is for women vocalists living in Iran today—why did your country forbid the performing of female vocal music in public, and how have you dealt with this challenge as an artist living in your country? 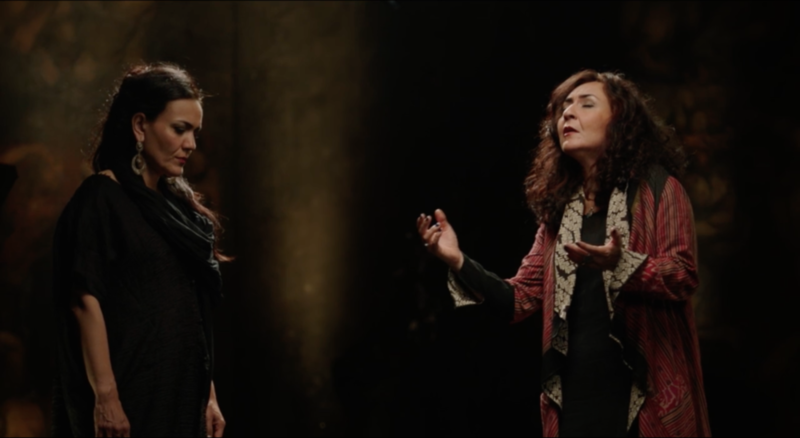 Since the Islamic revolution in 1979, solo female voice has been restricted in Iran. Female singers can only perform in a choir, or sing solo in the presence of female-only audiences. It is commonly said to be enforced under the pretext of certain religious points of view; but I feel it’s something much more political, and is actually based on the fear of the female voice itself, and what it represents—I think any kind of restriction on music or art in the world is ultimately based on fear. It’s a tremendous sadness that women have been forbidden to freely sing in Iran, and for many talented artists at some point the path became so challenging they had to give it up entirely. It’s brought a very sad feeling into Iranian society, and has removed a certain tenderness from it... to prevent a people from participating in one of their great cultural and human treasures is extremely sorrowful. However, the fact that this female vocal tradition has still been preserved in spite of these restrictions is incredibly inspiring; this proves that it’s impossible to keep some artists from pursuing their art, regardless of the consequences. In fact, many have chosen to walk their paths with even stronger conviction and dedication. I’ve personally suffered from injustice, and have found the only thing I can do is continue to sing; every tone is a protest, like the shedding of seeds that allow new plants to grow. I’ve always felt it’s so important that I stay true to this path, not only for myself, but so this art form can be preserved and passed down to future generations. And how did you initially come to be a singer? Music and singing have always been a very important part of my life. My earliest influences were my grandmother and father. My grandmother had a beautiful voice, and I remember she was always singing, whether at home doing daily chores, or in the company of family and friends. My sister and I were very inspired by her voice, and her beautiful sense of poetry. My father too had a great love of poetry, and used to read us the great classical Persian poets like Hafez, Khayam, and Saadi. There was also a gramophone in our home, and my parents had a very fine collection of music. As a child our music room was my very dear to me, and I remember spending many hours there listening to records. When I was around 11, my sister and I began to attend private music classes in Tehran. This was some years after the revolution, and music classes and institutes were not as open and available as they are today. Soon after we started learning traditional Persian vocal music (also in private) with our first teacher, Pari Maleki. My father strongly encouraged us in our studies, and I’ll never forget the great joy and inspiration I felt when I first encountered the richness and beauty of this tradition. We went on to study with other great masters, and for years were completely immersed in the musical treasures of this world. Afterwards I went to study music at university, and from that point on music became my whole world. You mentioned the classical Persian poets, who’s texts you often incorporate into the melodies of your songs—how do their writings inspire you, and what themes are you drawn to convey through them? I’m so fascinated by these great poets from the past— their messages are so powerful, timeless, and placeless. They can relate and speak to so many hearts across the world, because the humanistic values they express are very profound and universal. Although they lived centuries ago, their messages are still so fresh and important in today’s times. They embrace all people of the world regardless of their religion, ethnic roots, or geography. From another point of view, they are also unique and authentic sources of Persian history—while different dynasties over the centuries attempted to eliminate and distort the images of those that came before them, the writings of these poets depict true sources of people’s humanity during these times. They never emphasized the differences between others, but rather searched for the common truths shared among us. Every poem has a different message for a different time—they are so dynamic and alive, and grow with us throughout our lives. Sometimes when I revisit certain poems I read in my youth, I find they now have a different face… in different situations I see them in different lights. In this sense, they serve as a mirror in which we can see a reflection of ourselves. How do you approach choosing specific poems to set to music? I’m very intentional in the poems I choose—whether the work of a traditional or contemporary poet, I feel the poem should really have a connection to my emotional and spiritual life, and also be relevant socially and politically in the world today. I believe poetry is about much more than just preaching ideas—in Iran, going to the grave of a poet is like a pilgrimage, and when people visit their tombs they find a sense of spiritual liberation there. 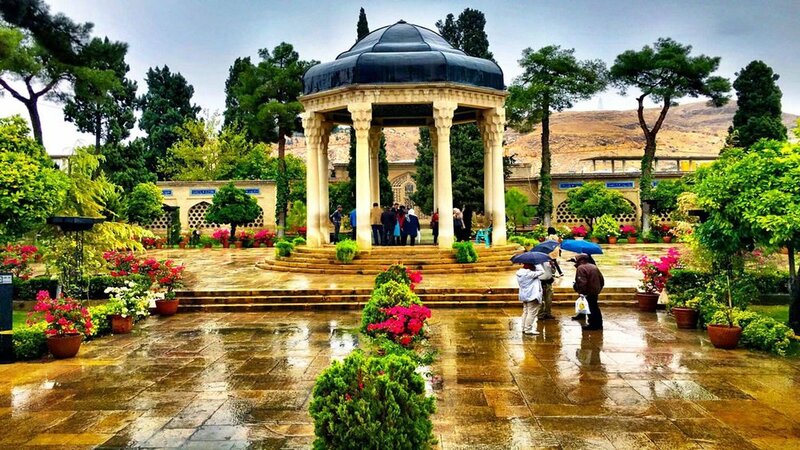 If you visit the tomb of Hafez in Shiraz for example, you’ll find people from all over the world there; it serves as a personal refuge for them, and offers a free way of pilgrimage. People do not see this as a duty, but are rather moved to visit by the force of their own hearts. 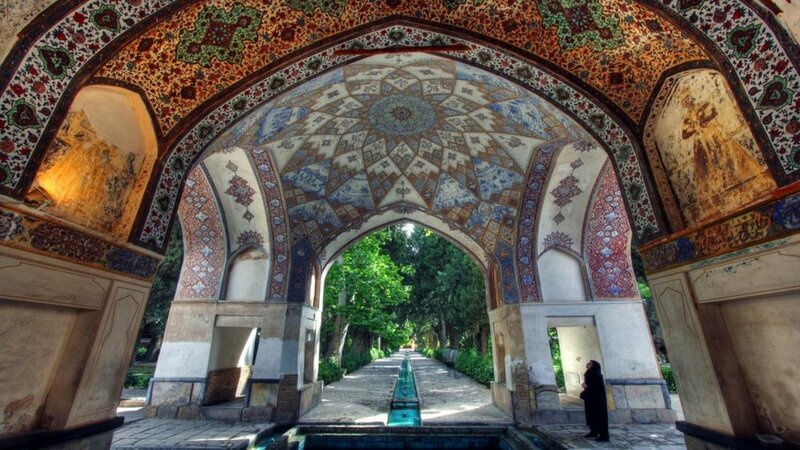 Whenever I go to Shiraz I visit this tomb (I don’t know how many times), and it’s a garden of freedom for me. I find it amazing that at his tomb people come from many different religions and faiths; it’s a spiritual gathering point for all Iranians. I feel your music shares a similar quality of universality, in that your albums embrace a wide range of cultural and stylistic forms—is there a specific process you go through when deciding to create a new album? Yes, every album I make is directly related to questions and concerns in my life—they’re all reflections of some part of my experience. For example, the album Traces of an Old Vineyard expresses my concerns about the cultural treasures of the past that are vanishing, and how we must find ways to preserve them. Throughout Iran’s history, we’ve faced many obstacles and challenges to keep our art, music, and culture alive and flourishing. Today in Tehran and other cities, whenever I see people pulling down a beautiful old house with no regard for such treasures of the past, it makes me very sad… it’s a great tragedy to witness this kind of vanishing process in my culture. So the title also comes from this anxiety and tension. And although I’m certainly a person who loves living in the modern world, I also have great respect for the past, and feel in order for our traditions to retain their strength and continuity, they must be restored and renewed again and again. Today we’re witnessing very rapid social and technological progress throughout the world, and the string that ties us to the past is becoming more fragile. In a country like Iran, it can be difficult for people to remain in touch with their own history, and maintain a strong sense of cultural unity. In fact it’s a wonder that so much of the immense beauty of our cultural heritage has been preserved and passed down in the way it has—there’s no real support from larger institutions like the government, so the task has laid solely in the hands of dedicated individuals, whose artistry has served as a link to keep these traditions alive. In light of this I believe finding new ways for the younger generations to feel connected to their past is a very important part of the artists’s task. This requires not only a deep knowledge of tradition, but a certain sense of vision, and the ability to not overly-romanticize the past—to be honest and critical about things that may no longer be relevant to us today. The album you referred to [‘Traces of an Old Vineyard’] has a very unique aesthetic, blending the more traditional sounds of Persian music with the playing of Norwegian jazz pianist Tord Gustavsen—what was it like bringing these two different styles together? This process happened in a very organic way—I was so amazed by the depth and sensitivity of Tord Gustavsen’s understanding of my music, which paired so well with two other incredible Iranian musicians, Shervin Mohajer on Kamancheh, and percussionist Ali Rahimi. I really loved the profound exchanges we had while making this album, and feel for me it’s success was the result of working for many years with musicians of different cultures. Some of the lyrics of this album —again drawn from the classical Persian poets Hafez, Khayam and Rumi— speak to the hypocrisy and oppression many parts of our world are suffering today, which I’ve suffered in my own society as well; so they’re very relevant to my life. These and other themes are expressed at times with feelings of passion, at times humor, and a deep sense of beauty. In contrast, your album ‘The Sun Will Rise’ is more traditional in style, and performed entirely a cappella—what inspired this project? I really wanted to make an album where I could stand alone, with just me and my voice. I wished to have complete freedom to express myself without any filters or protection; simply sharing the story of my life in a naked and vulnerable way. Some people asked if I was crazy to release a full album of only a cappella music… I told them yes, and found out there was at least one other person crazy enough to follow me, Erik Hillestad, a producer and poet who recorded this album with great dedication and love. I’ve worked with Eric for over 16 years, and we’ve had the opportunity to collaborate on many different projects together. I’ve also set some of his poetry to music (translated by Modammad Ebrahim Jafari) on an album of duets with the great blues artist Mighty Sam McClain, arranged by Norwegian musician Knut Reiersrud. For ‘The Sun Will Rise,’ Eric and I wanted to record in various spaces that had special aesthetic and acoustical qualities about them. We of course knew it would be impossible to do this in Iran, even though there are are so many wonderful places we would’ve loved to go to, so instead we decided we would travel to other beautiful locations in the world, such as Istanbul, Van, Wroclaw, Granada, Oslo, and Sigonce. Throughout our journey, I found the unique qualities of these locations to be very inspiring, and sometimes the presence of a place suggested to me what I would choose to sing, and in this way contributed to the musical expression of the songs. Lyrically, this project featured not only the beautiful works of classical Persian poetry, but also writings of the contemporary poets Forough Farrokhzad and Mohammad Ebrahim Jafari. The wandering path I traveled throughout this project contributed to a sense of placeless-ness within me, which eventually led to the idea that inspired my next album, ‘Endless Path’. This began when the Turkish musician Coskun Carademir invited me to record with his Secret Ensemble; through this collaboration I was introduced to the tambour player Ozer Ozer and percussionist Omer Arslan, which inspired me to suggest that we all make an album together, joined by Iranian ney player Mehdi Teymouri. I found these musician’s approach to music to be very spiritual, and working with them was quite a moving experience for me. At this time it was becoming more and more difficult for me to live in my motherland as a female independent artist, so my concept of ‘home’ was changing… and with all the longing and emotion I was feeling to continue my musical journey, we decided to call this album ‘Endless path’. This is the true story of my life—I regard my journey as an endless path, one that is difficult, but is at the same time filled with such beauty that it compensates for all the challenges. This album was recorded in a very special place in Oslo, the Emanuel Vigealand Mausoleum. 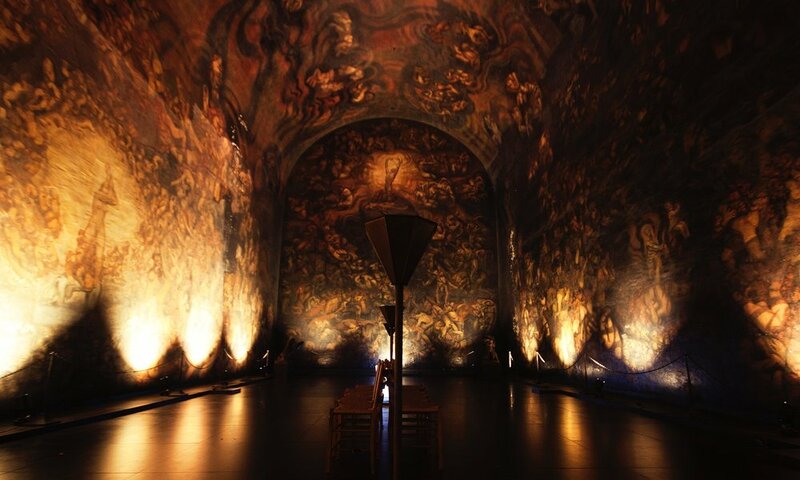 This space is filled with frescos depicting themes of birth, life and death, and has unique acoustics and reverberation. I’d previously recorded some of the songs from ‘The Sun Will Rise’ in this setting as well. We chose to feature the poetry of Rumi (the great Persian poet who lived most of his life in Konya, Anatolia) and Yunes Emre, a Turkish poet who greatly influenced Anatolian culture and was a contemporary of Rumi’s. Yes, I’ve always admired the work of Kronos Quartet, and love the open mindedness, dedication, and high quality of taste they bring to their music. During the making of this album, which we titled ‘Placeless’, all the themes I’d been previously experiencing reached a peak of convergence—feelings related to my sense of home, identity, and place in this world were all transformed into a moment of liberation through a special experience of humanity and friendship through music. I was so amazed by the way we all worked together—the Kronos Quartet’s understanding of our music and voices was so profound, they responded to subtle details and nuances in the style of our singing with such sensitivity and thoughtfulness… it was a very special experience. The friendships formed between us through this project are very precious to me. The fact that this music happened between people from countries that are in a very difficult political phase and are often regarded as enemies, showed me how artists can come together to create something that goes beyond the boundaries of politics and geography, and is rooted in deeper human and musical truths. The album took more than two years to produce, and during this time I was again involved in the process of moving and semi-immigration, and was having further problems with my art in relation to the Iranian authorities. There were moments when I though I might permanently lose the opportunity to be in my country and see my homeland and my parents (which luckily did not happen), but all of these worries and complications still did not stop the process of my creativity. This project was also aided by several fantastic arrangers and composers, Aftab Darvishi, Jacob Garchik, and Sahba Aminikia. And my husband Atabak Elyasi helped me with some of the texts and arrangements as well; we’ve been working together for many years as a couple, and our music is the fruit of our life. Yes, I was so happy we were able to make these concerts together. The theme was based on the recent travel ban in the US, imposed on countries like Iran. I believe such a ban is a dangerous act, because it causes many problems for families who are no longer able to see their children and loved ones, and creates a lot of fear and separation among different peoples and cultures. I think here the power of art is so important, because it can forge new connections and relationships based on dignity and respect. Can you say a little more about the power of music as you see it in your life? My art is truly a blessing; through singing I’m able to share my vulnerability and my strength, my joy and my pain, my sorrow and my hope… it’s a time when I feel complete liberation and freedom of expression, and am able to share the emotions I cannot express in my ordinary life. I feel so exposed and transparent, as if all my secrets are being revealed, and I have no fear to reveal them. What’s most important to me is to offer myself on a human level, and to share the depths of my emotions with my audience. It’s an extraordinary experience to share myself with others in this way, and I always feel a deep exchange is taking place. I sense this connection from the moment I walk on stage; it’s as if I’m receiving extra strength, and every time this strength comes it makes me so amazed. I’m extremely happy to be a singer, even if I’ve paid a large price for it in my homeland. All the restrictions I’ve faced not only did not stop my growth and creativity, but in fact made the process of my maturity even faster. Every album and song on my musical journey is being fed and enriched by the way I live. So for me, I know that the stage is my real home, and it is there that I find true liberation and freedom whenever I wish. When I sing, I don’t know if I am old or young, where I am from or where I belong; I feel I am a lover, or a mother, or a wanderer... I can cry and laugh out loud. My singing is a response to my life, and it gives voice to the deepest parts of me. It extends beyond everything I know, and I am one with it… it possesses my whole being.